It’s been a while since I’ve posted race results. There have been quite a few good results over the past few weeks. Maybe there is something to be said for planing ahead for your athletes season and letting them know what the plan is. In the past couple of weekends Billy grabbed 3rd overall at the Steelhead Triathlon. 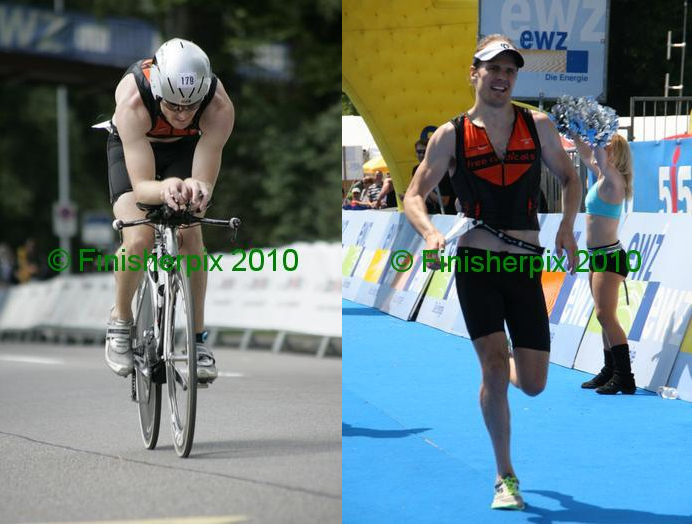 Tom went a mere five minutes faster then last year at the Zuri Triathlon. We’ve worked on his bike position over the past two years, and as you can see from this pic, is rather slippery. Dusty rocked the Strawberry Fields Triathlon this past weekend winning his age group and grabbing 10th overall in the men’s field. James pulled the double race weekend just 5 days after a two week training camp in which he set new records for hours trained. On Saturday he raced the Stumpy Creek Triathlon with it’s 27 mile bike then turned around Sunday and raced the Amica 19.7 Sprint triathlon. Saturday’s race was a double points race for the Inside Out Sports NC Triathlon Series. He was as high as second place overall in the race and crossed the line in third overall. On Sunday he came back to the sprint race and won the race outright. By our calculations this will move him from second to first overall in the series standings! (Edit: He is 3rd in the series,so much for my math skills) This should also move him a step closer to getting his elite license for next year. In closing, I’d like to say thank you to all the guys and girls I coach. You guys are an awesome bunch of people who have been very supportive during the last 3 weeks as I help my family out. All coaches should be so lucky to be able to pick such a good group of people to coach.